Most people want their chocolate to be healthy without giving up on the great taste. This is where we offer taste that is pure, fresh and indulgent. Formulated to help support good blood circulation by boosting your daily intake of cocoa flavanols. Crafted to indulge your senses. 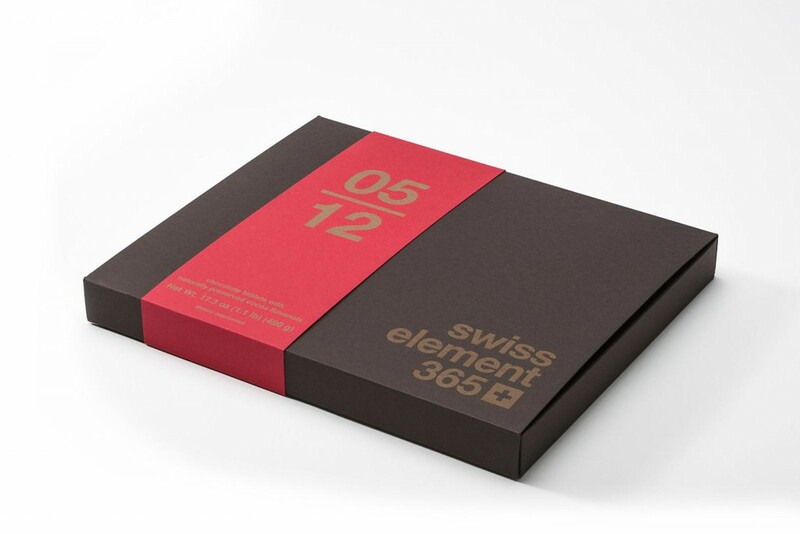 SWISS ELEMENT 365 was crafted with a specific purpose – to allow cocoa flavanols to release their healthful benefits via a premium quality, locally produced Swiss chocolate. Our chocolate is minimally processed and contains a higher concentration of cocoa flavanols, which are known for their protective cardiovascular functions. In numerous clinical studies, cocoa flavanols have shown to aid healthy blood circulation by maintaining the elasticity of the blood vessels that carry oxygen and nutrients throughout the body. Healthy blood circulation equals healthy heart. We go beyond taste alone. Chocolate is a food that appeals to almost everyone. But most people don’t benefit from the ingredient that has shown to positively affect cardiovascular health. In the public mind, ‘dark’ chocolate has become linked to heart health. But color is not a true criterion for healthy chocolate. The standard method of processing cocoa beans into chocolate destroys most of the cocoa flavanols, which is the ingredient responsible for those beneficial effects. We offer an altered approach to chocolate-making. As a result of an innovative processing technique, we preserved higher concentrations of cocoa flavanols, a bioactive compound naturally present in cocoa beans. The formula behind SWISS ELEMENT 365 was developed to help support healthy blood circulation, which leads to better energy, improved sleep and memory. And we SHOW it — we put the actual amount of cocoa flavanols on the label. 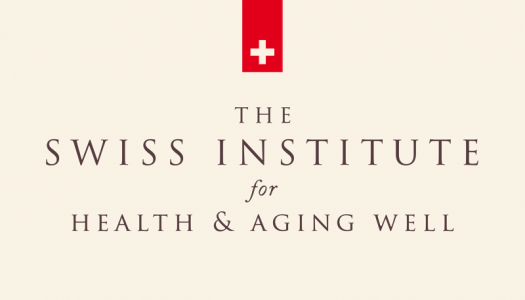 We love the idea that there is a totally natural daily supplement that has shown to promote good circulation, and it's delivered in the finest quality Swiss chocolate. This is the only supplement you will remember to take every day. Actually, you will be looking forward to it. We can’t think of a more enjoyable way to boost your heart health. Build it into your daily ritual. 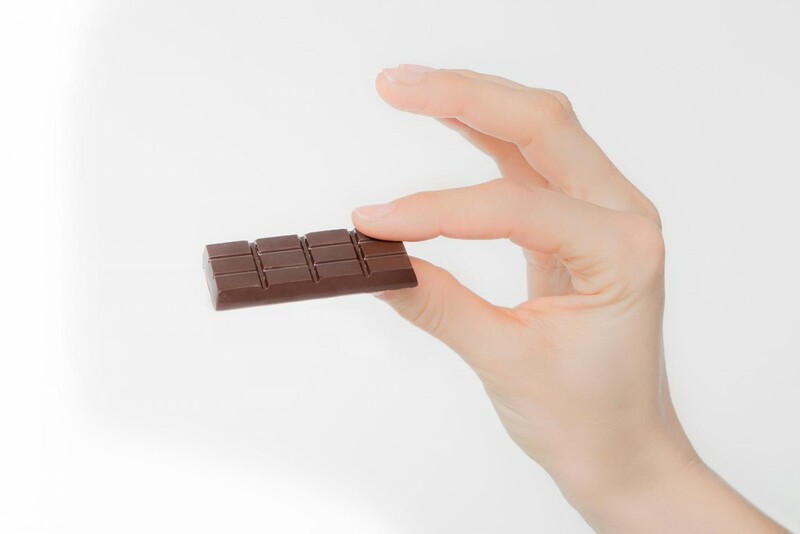 The best way to tell if a chocolate is healthful is to check its cocoa flavanol content. There’s a great deal of confusion about what makes a chocolate good for you. The most widespread misconception is that ‘dark’ indicates healthful characteristics. In fact, the color of a chocolate is not a primary determining factor of its health benefits. What makes a chocolate good for you is the amount of cocoa flavanols it contains. In clinical studies, cocoa flavanols have been shown to activate nitric oxide (NO), which is responsible for relaxing the blood vessels, allowing the increased flow of blood and oxygen to the heart, brain and other parts of the body. In order to obtain the effect, 200 mg of cocoa flavanols should be consumed daily. This amount is provided by less than ½ - ounce tablet of SWISS ELEMENT 365, and should be consumed in the context of a balanced diet. 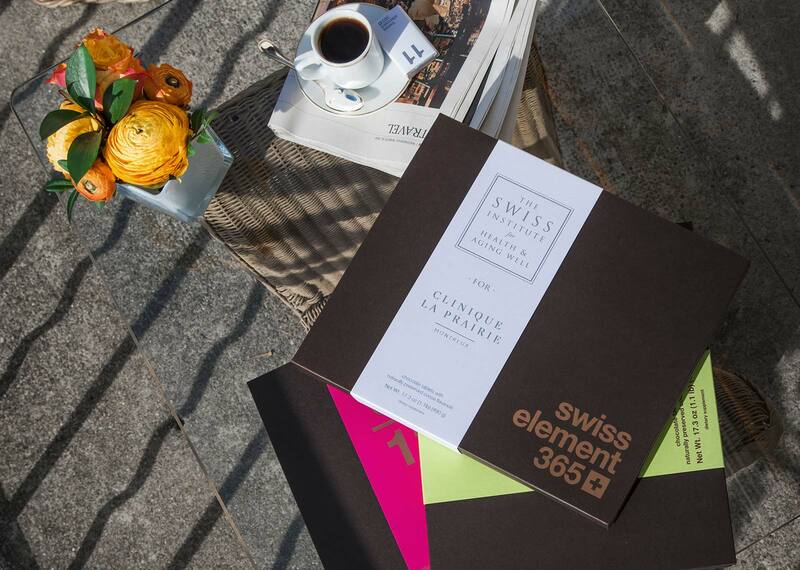 SWISS ELEMENT 365 presents a series of full, aromatic dark chocolate notes, tempered by a slightly sweet cooling effect as it melts on your tongue. Each tablet contains 14 grams (slightly less than ½ – ounce) of a delicious chocolate. We recommend taking one tablet each day. 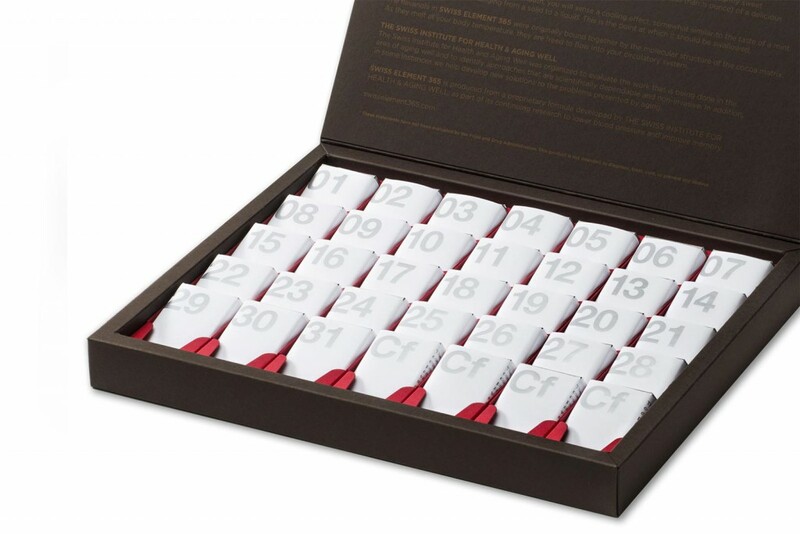 SWISS ELEMENT 365 is offered as a single box, and as monthly or quarterly subscriptions, with each box containing a month’s supply of 35 pre-portioned dark chocolate tablets — 30 or 31 pieces for personal consumption, and the remaining 4 or 5 to be shared with friends. 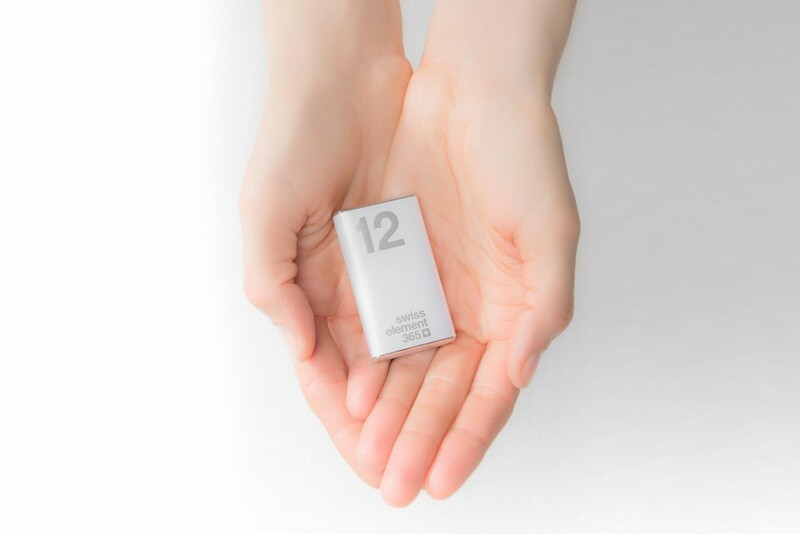 We made it easy to take your daily amount of cocoa flavanols with one simple pre-measured tablet of a delicious chocolate. It’s unusual to find something to eat or drink that tastes great, offers a totally enjoyable experience and is actually good for you.